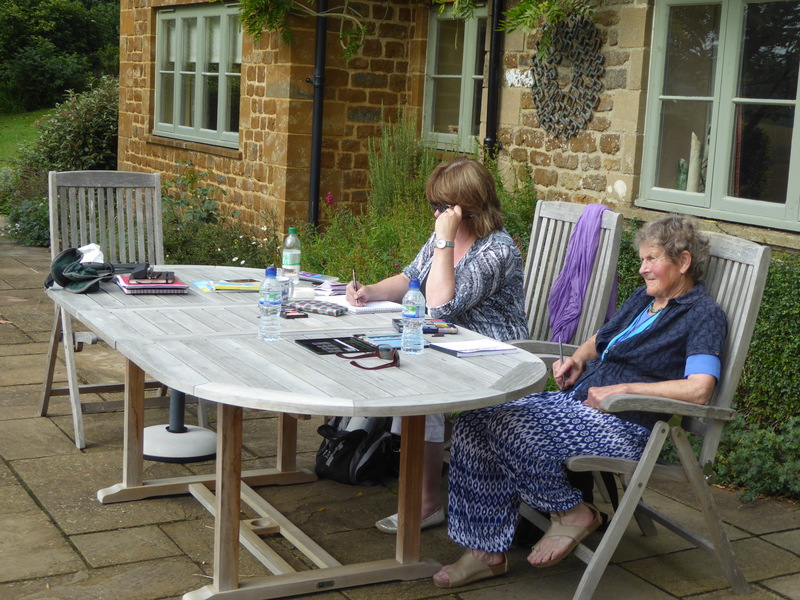 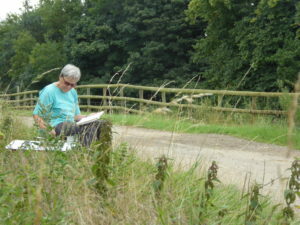 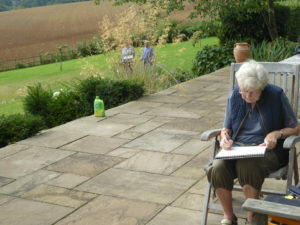 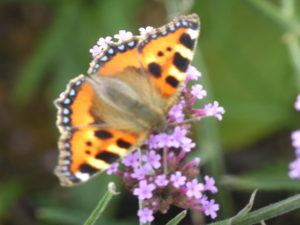 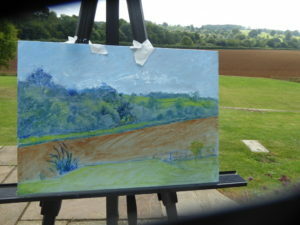 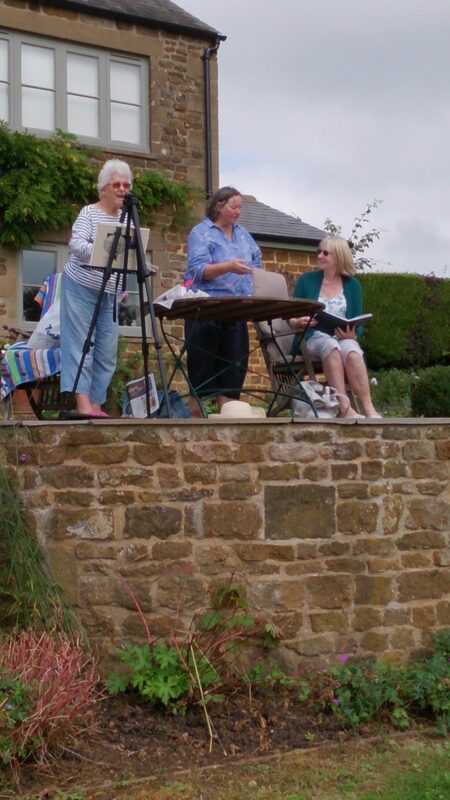 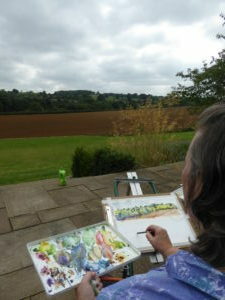 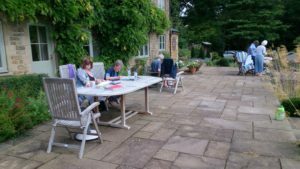 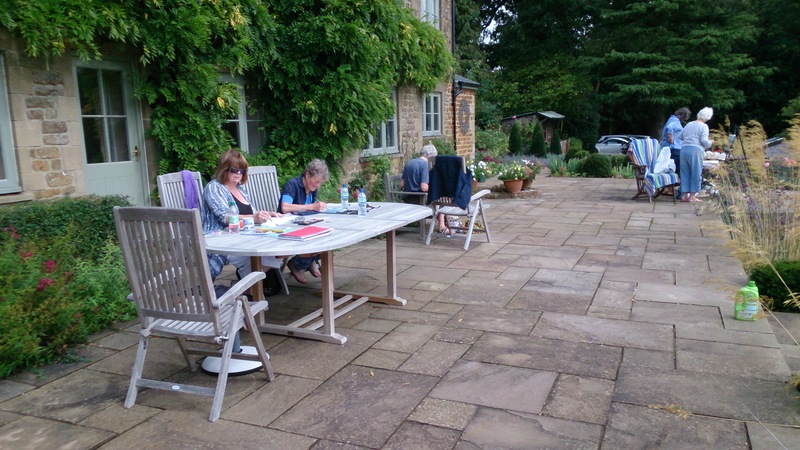 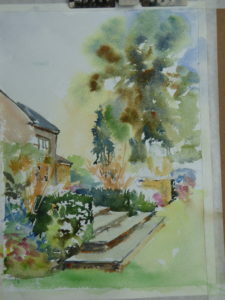 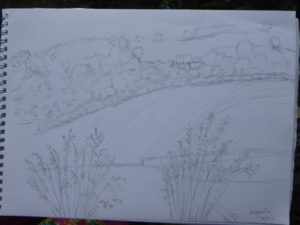 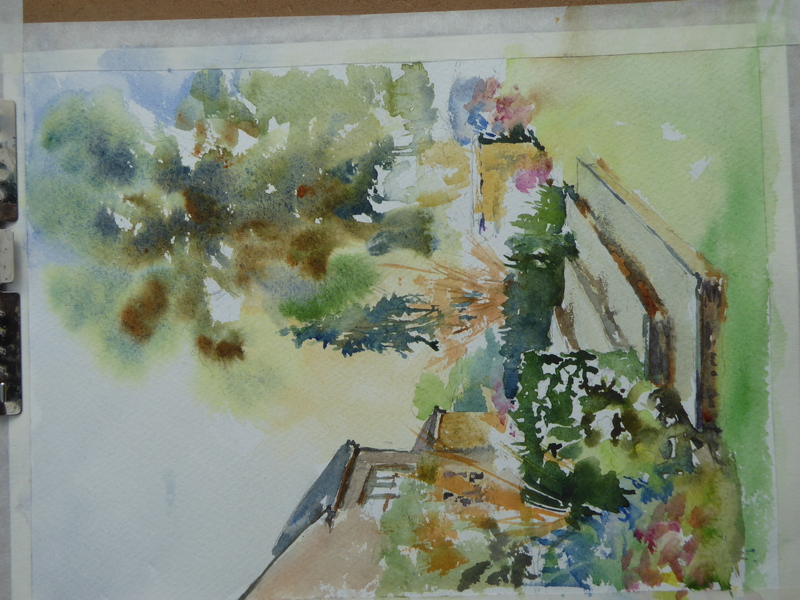 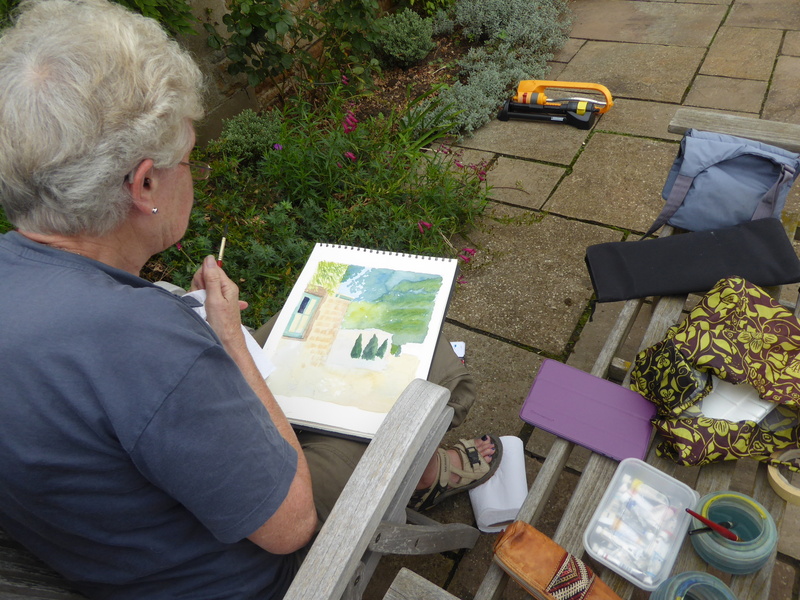 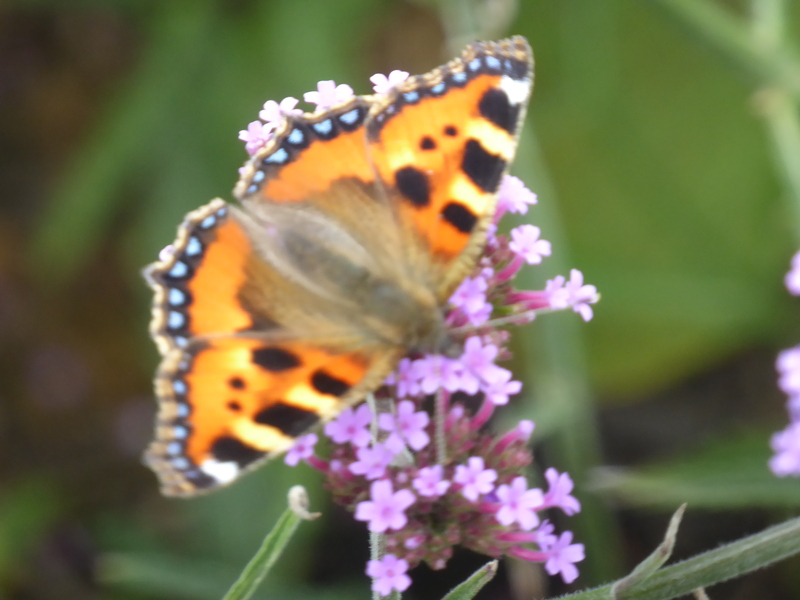 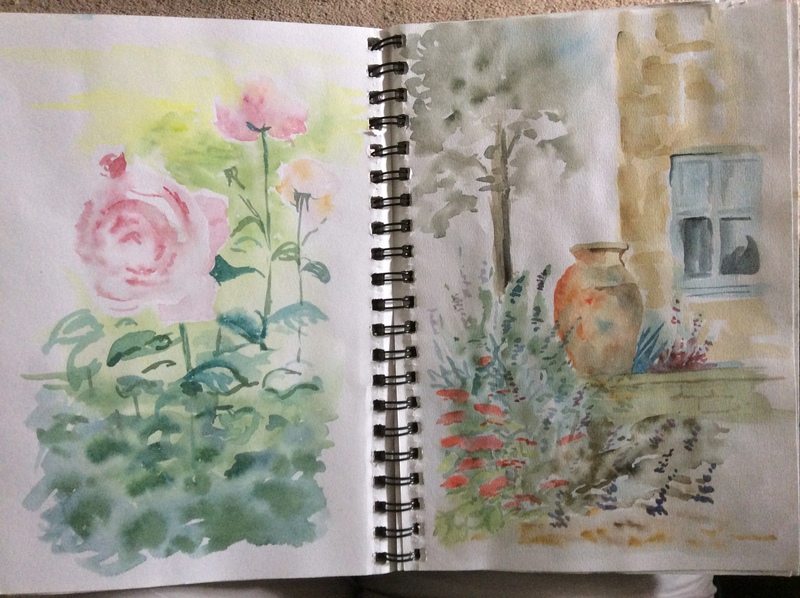 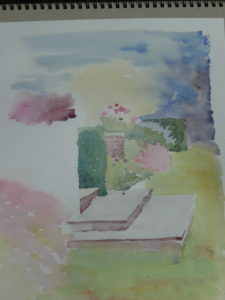 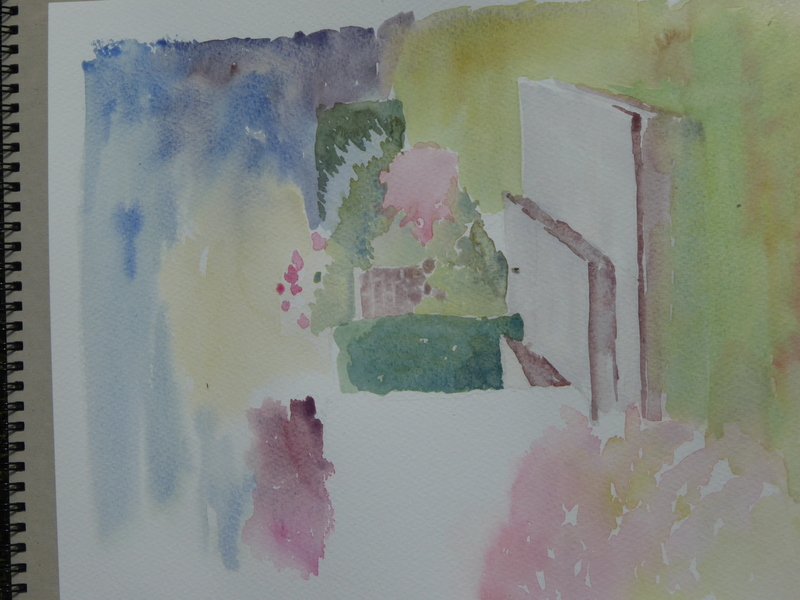 Elizabeth Haldane kindly welcomed 6 of us to come and paint in her lovely garden on 7 September. 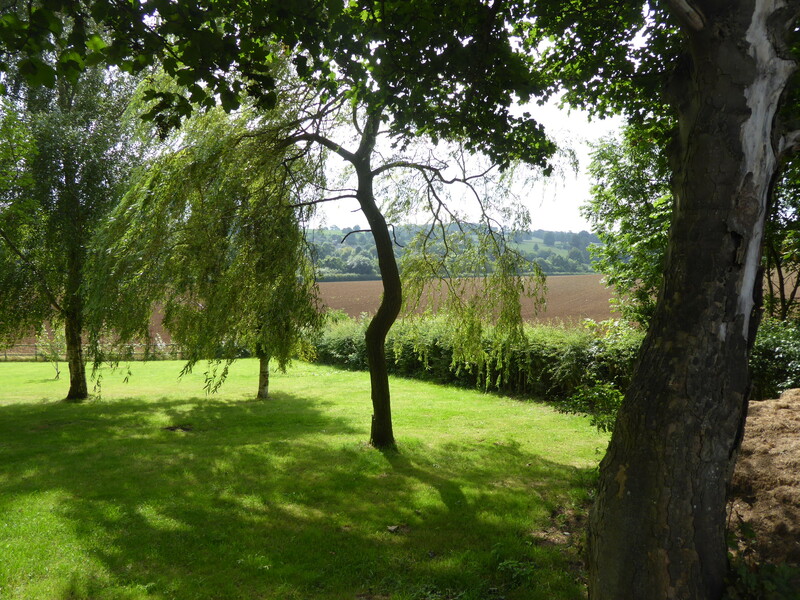 The large sprawling ironstone house overseas a panoramic view of rolling countryside for miles. It is a little way outside the village of Swerford so not easy to find but what an idyllic spot when we found it. 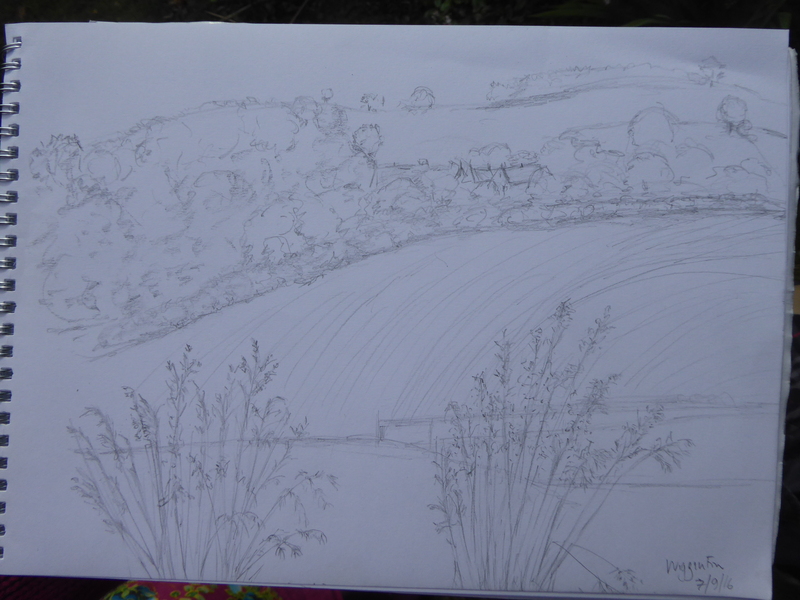 I had only planned to come for the morning but could not drag myself away, inspired by views in every direction! 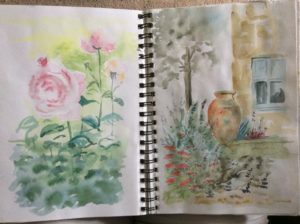 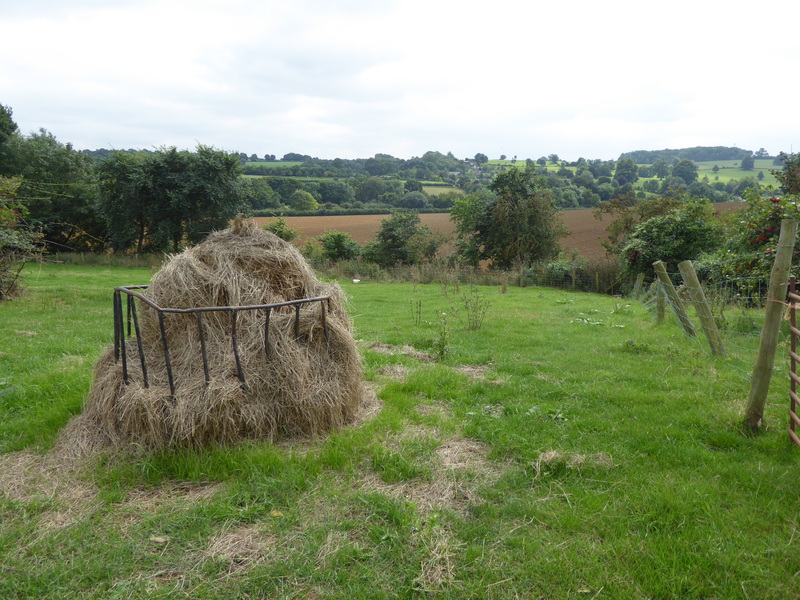 After painting from the patio surrounded by colourful herbaceous borders, I wandered up the lane where there were old farm buildings, bales and many fruit trees. 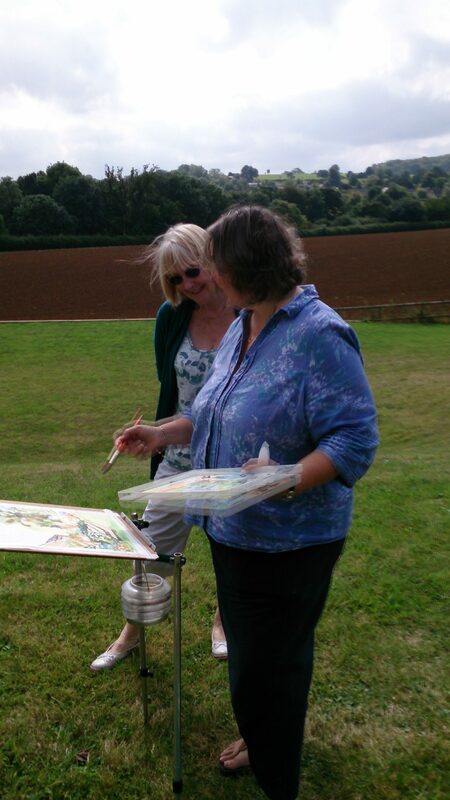 Thank you for a memorable day Liz. 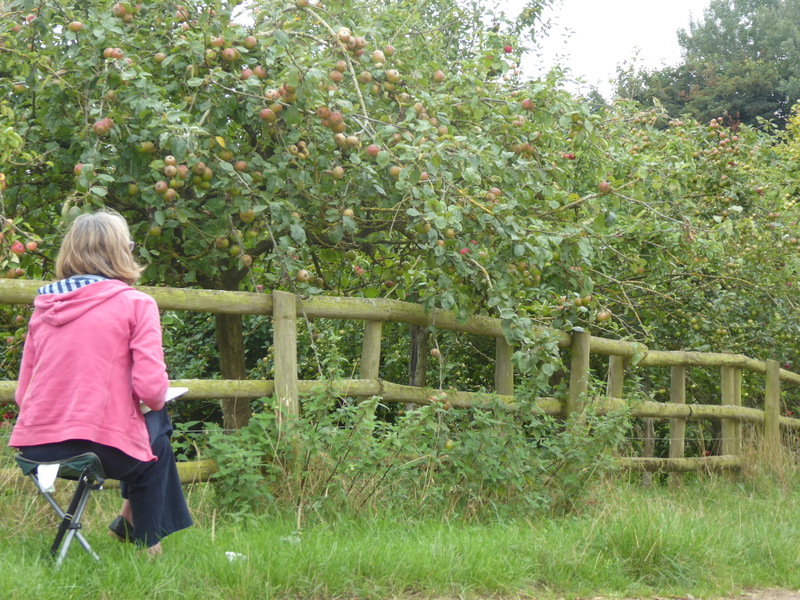 Some images from our day….